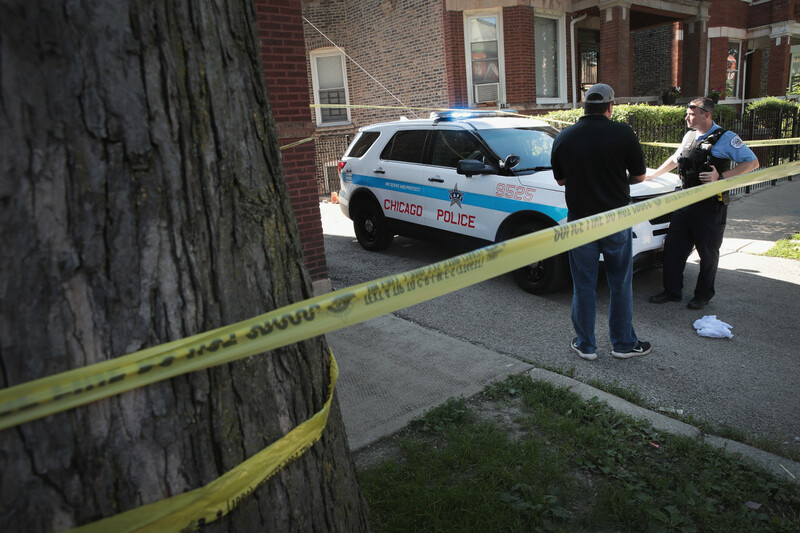 What Caused Chicago's Spike in Violent Crime? A new study suggests the so-called ACLU effect might be to blame. 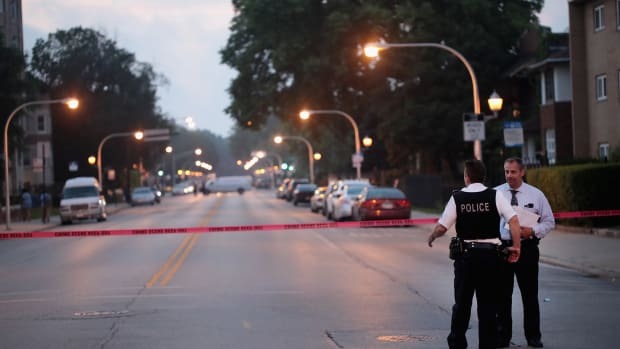 Homicides increased by 58 percent in Chicago between 2015 and 2016—a sharp enough rise to elevate the homicide rate for the entire nation in that span. Early in his presidency, Donald Trump threatened to intervene if Chicago couldn&apos;t reverse the trend of "horrible carnage." The cause of the spike in murders has remained uncertain. This week, a new study from two professors at the University of Utah attempts to make the case that something called the "ACLU effect" is to blame. 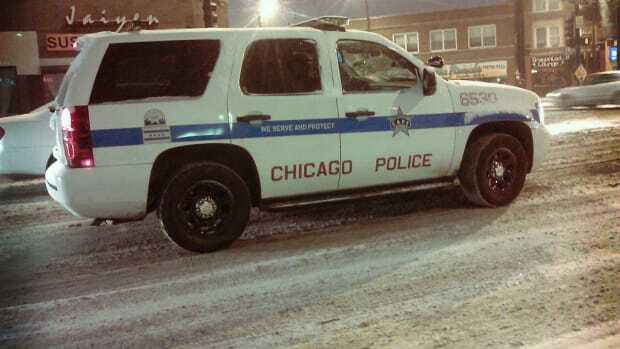 The name refers to a 2016 agreement between the Chicago Police Department and the American Civil Liberties Union of Illinois to reform unconstitutional stop-and-frisk practices. Between 2015 and 2016, street stops dropped by 82 percent in the city. Chicago stop-and-frisks (in blue) vs. homicides (in orange), from 2012 to 2016. 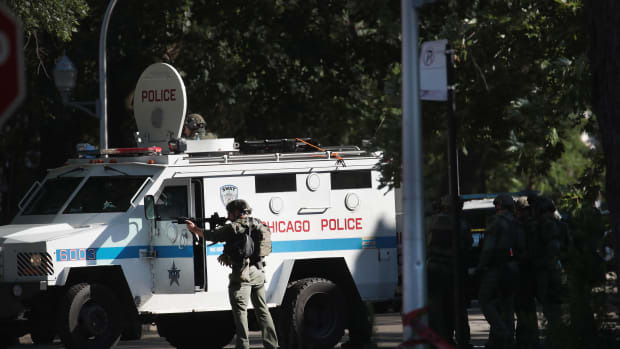 Chicago police officers blamed the ACLU agreement in 2016 for the spike in crime, explaining that they had reduced their policing efforts because of extra scrutiny after the agreement, which required officers to fill out two-page forms for every street stop. 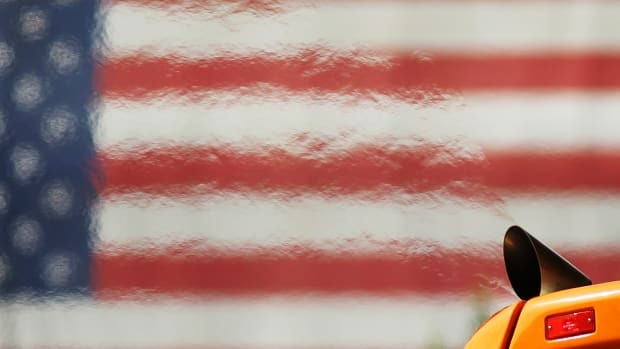 The ACLU responded that, "There is no discernible link between the rate of invasive street stops and searches by police and the level of violence on those streets." 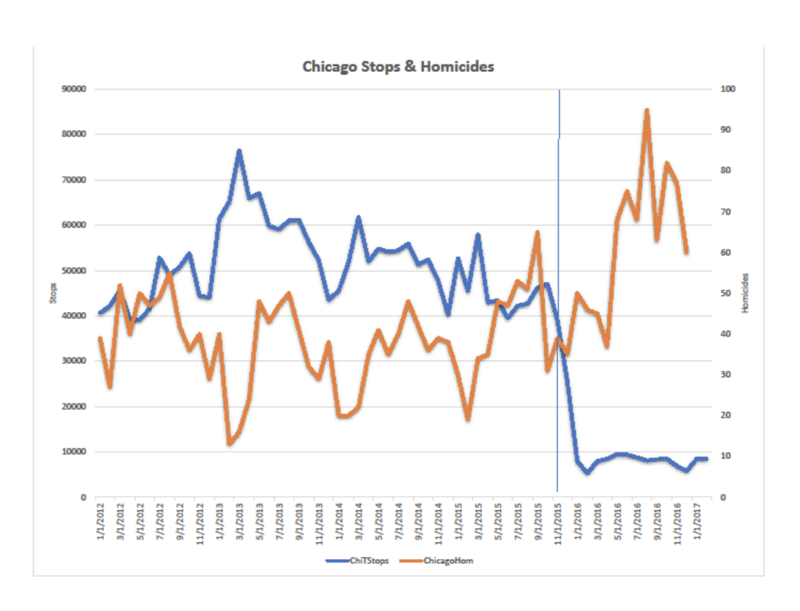 "If nothing else," Paul Cassell, a law professor, and Richard Fowles, an economics professor, write in their new paper, their statistical analysis "provide[s] strong evidence of a &apos;discernible link&apos; between declining stop and frisks and the tragic spike in homicides in Chicago throughout 2016." But critics say it&apos;s impossible to make any claims about trends from just a single year of data and caution that, while the end of stop-and-frisk practices certainly played a role in the spike in crime, it&apos;s not the only factor. For one thing, the evidence that street stops have a significant impact on crime rates is mixed at best. The research the attorney general drew his conclusions from had some serious flaws. Trump Is Still a Fan of Stop and Frisk. But Does It Work? President Trump on Monday echoed arguments from his campaign, but his information seems outdated. 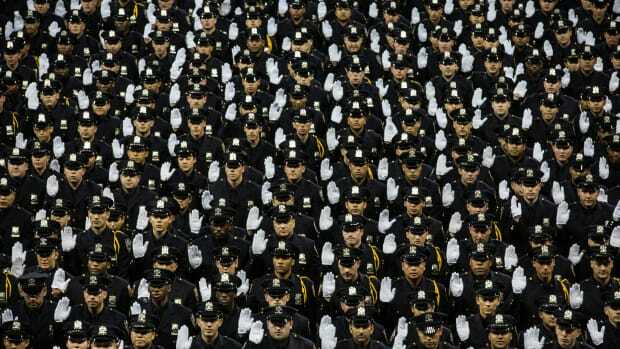 Stop-and-frisk may have gained notoriety in New York City, but a new analysis finds Chicago police stops people more often than their New York counterparts do, and is less transparent about it. 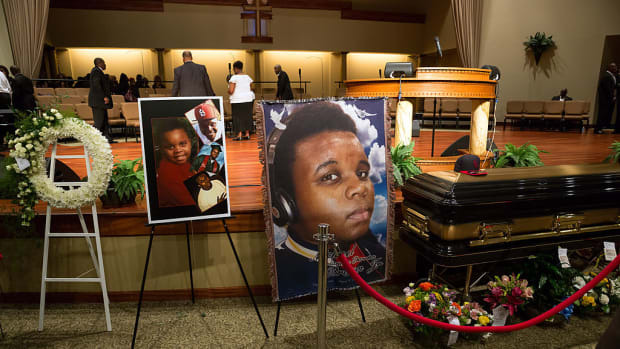 A new study suggests police may search and use force more often against black and Hispanic men they perceive to be large.